Rainbow Gas Company (RGC) is a regional marketer that supplies natural gas to commercial and industrial end-use customers located on the WBI Energy Transmission system. We believe our customers are the foundation to our success. 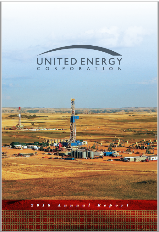 RGC is a subsidiary of United Energy Corporation (UEC). Celebrating 30 years in the Natural Gas Industry! © 2019 Rainbow Gas Company | All Rights Reserved.